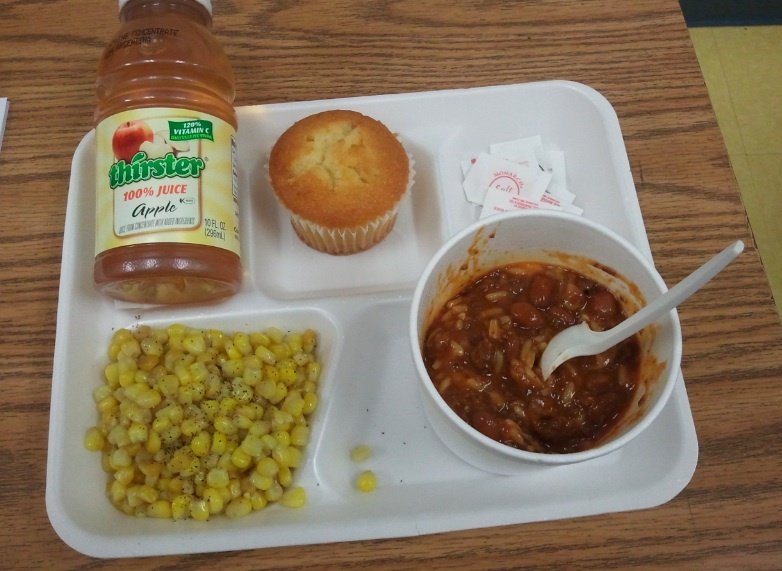 Contents: Chili (with brown rice and cheese), corn, apple juice, corn muffin and a lot of salt packets. Notes: My sister-in-law is from Estonia, and when she first got here she was surprised that people ate corn. She said that in Estonia corn is only for animals. But, now she loves it and eats it all the time. Those Estonians may be onto something. I love butter drenched corn as much as anyone, but if you haven't heard, processed corn syrups and the like are making people fat.